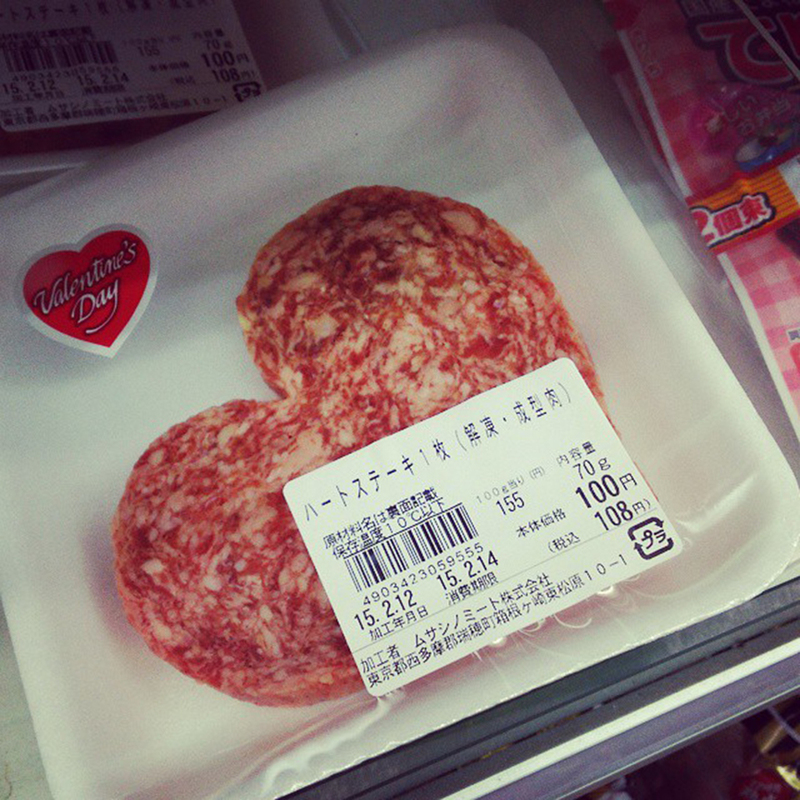 Yes, it’s a heart-shaped patty of raw meat. Because what could be more romantic? Dominos does heart shaped pizza. I think not.